Every party, even if it’s for the big game, needs to have something sweet. 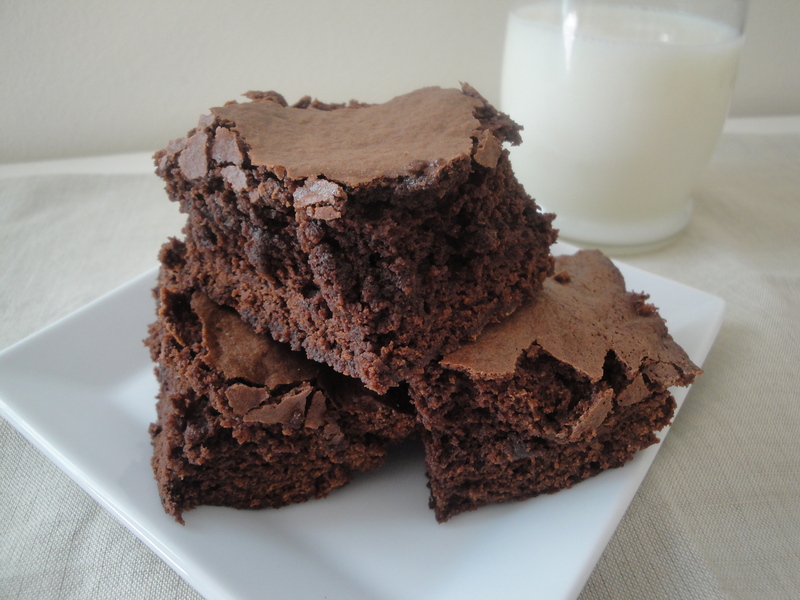 Most everyone loves brownies and not only are they easy to make, they are easy to grab as you run back to the couch to catch the next play. 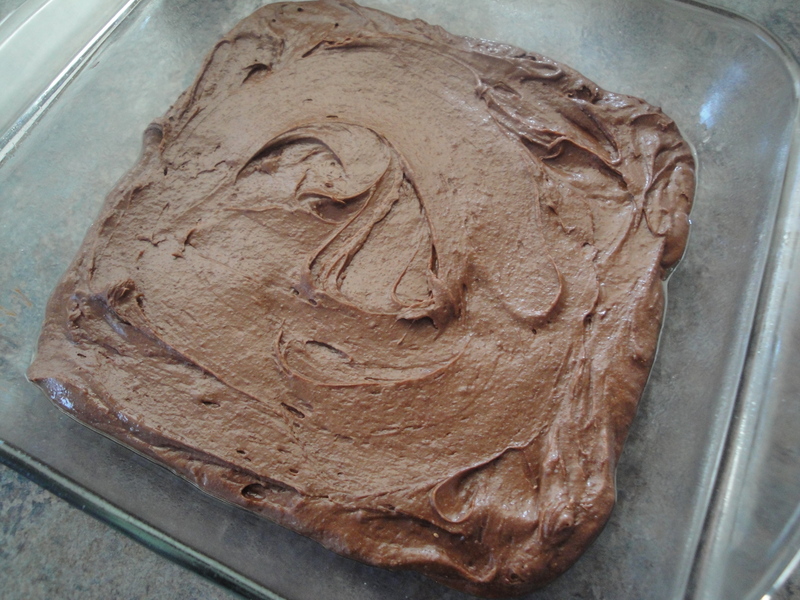 And since we usually are slurping down a few cocktails, it seems appropriate the brownies are a little tipsy too. 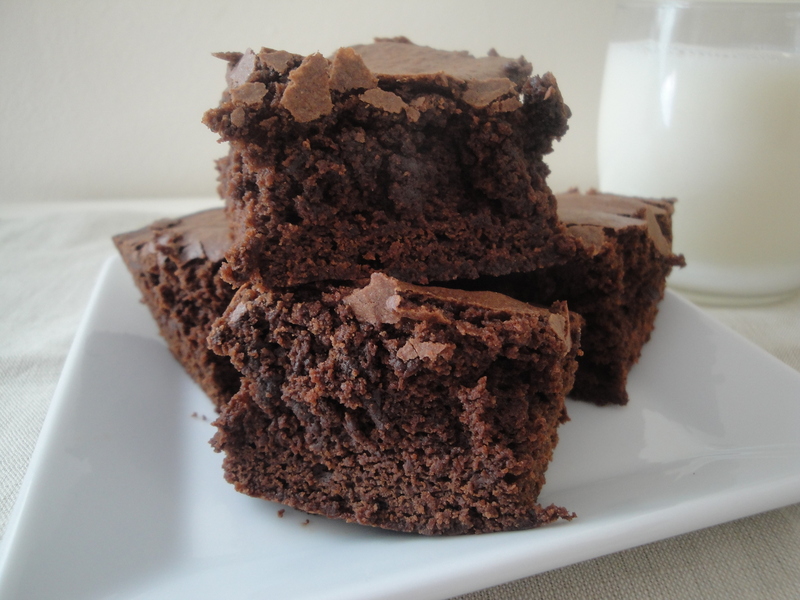 These Irish Cream Brownies have the slightest hint of Bailey’s Irish Cream and are slightly addictive. The top of these bad boys are light and crispy while the inside is cakey and gooey, just the way I want my brownies to be. And they have not one, but two different kinds of chocolate – cocoa and semi-sweet chocolate…yum! After hours of salty appetizers, spicy munchies, and whatever else you’ve injested while watching the big game (and those million-dollar commercials), a little something sweet might be just what you need. 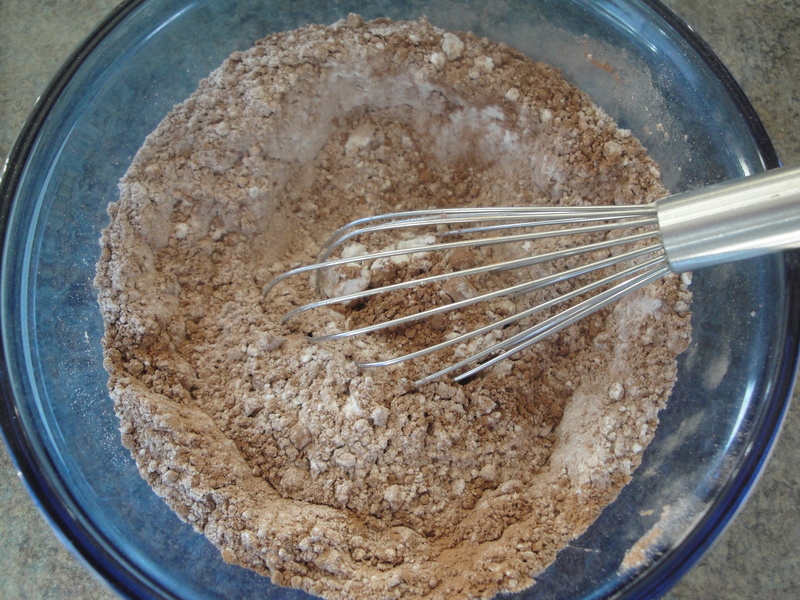 Combine flour, salt, baking soda, and cocoa in a bowl. 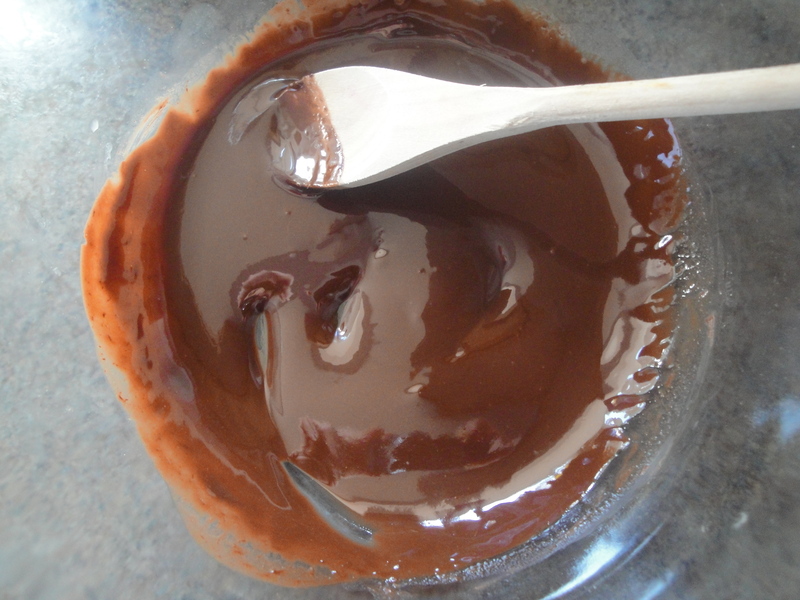 In another larger bowl, melt the chocolate chips and butter in the microwave for 1 1/2 minutes, stirring every 30 seconds. Allow to cool slightly. 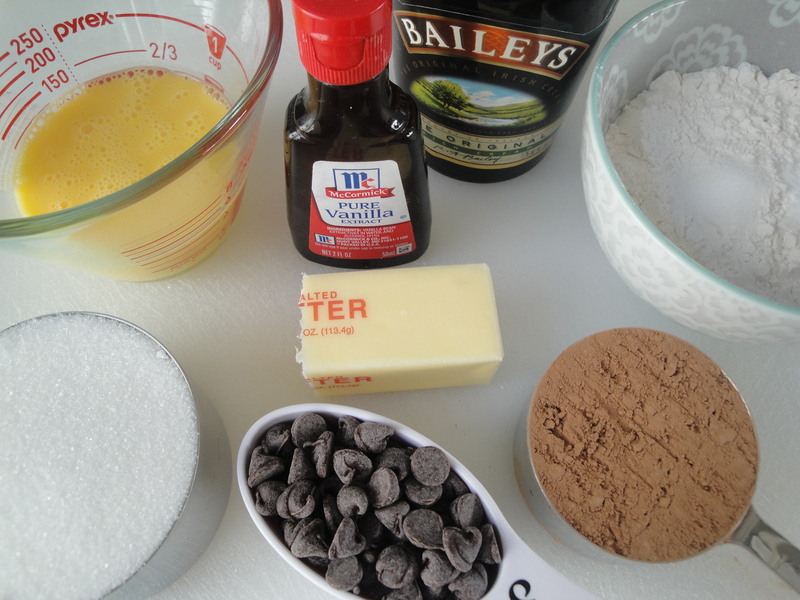 Add sugar, egg substitute, vanilla, and Bailey’s Irish Cream to the chocolate mixture and mix well. 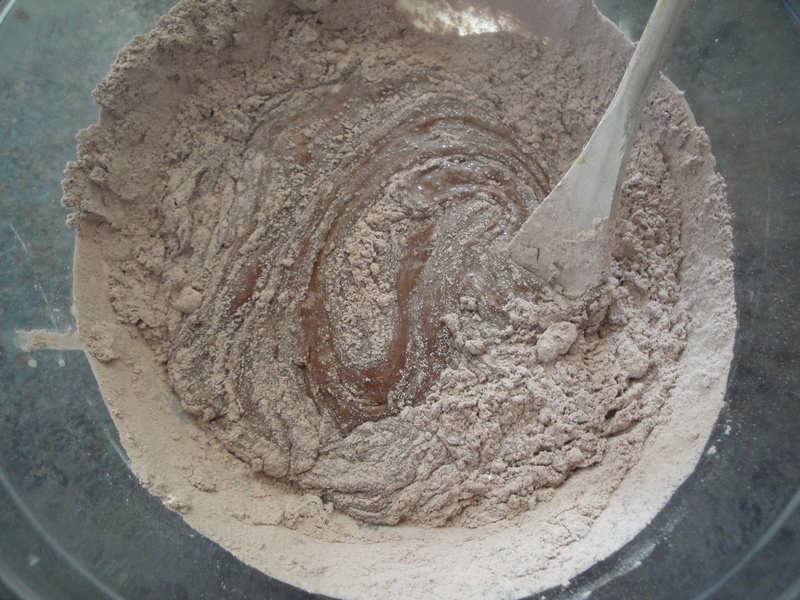 Add in flour mixture and stir until just combined. 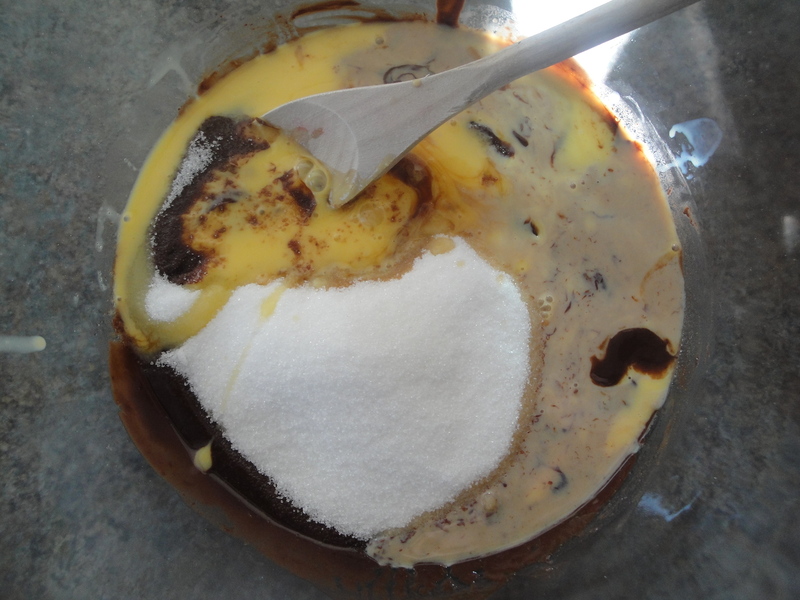 Pour batter into a square baking dish and bake in a 350°F oven for 20 minutes.